This section provides a quick introduction on how to develop a simple micro service which exposes a REST API using Spring Boot. 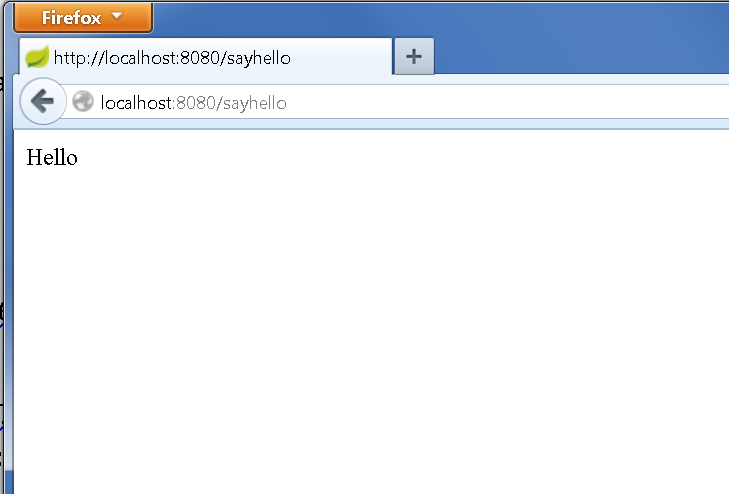 The intent is to do a simple “/sayhello” API which returns “Hello” as the output. 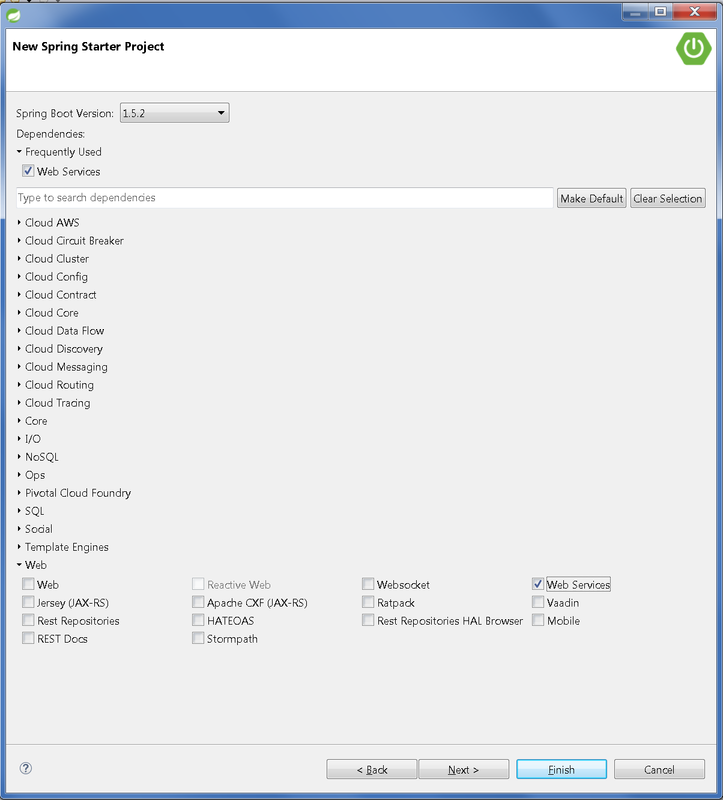 Open the Spring Tool Suite (STS) and click on Spring Starter Project. Fill in the application details. For this example we would use Java 8 and Maven as the build system. Since we are exposing APIs from this application enable Web Services under Web. Refer the snapshot below. 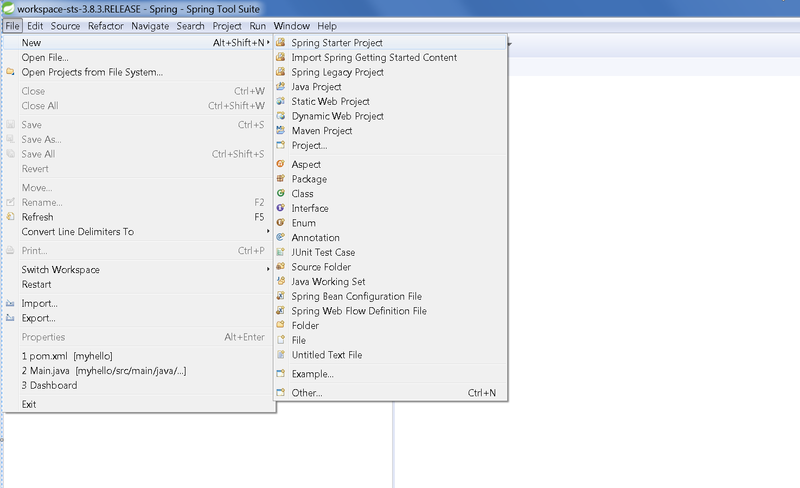 Finish the application wizard and you would see the Spring project created and ready for use in Spring Tool Suite IDE. Under Maven dependencies all the dependent jars are already loaded. Also notice that pom.xml is created. Now let us understand the top level class. @SpringBootApplication is a convenience annotation. The @SpringBootApplication annotation is equivalent to using @Configuration, @EnableAutoConfiguration and @ComponentScan with their default attributes if you are familiar with Spring annotations. Otherwise we have one line of code in main program which launches the application. Now let us introduce a new class HelloController which exposes the /sayhello API. This is achieved using @RestController and @RequestMapping annotations as shown below. Now we can run the project as a Java application in the STS IDE and we should start to see the embedded tomcat coming up on port 8080. Open a browser and invoke the /sayhello API we introduced. Next step is to package this application into a standalone application using Maven. If you notice the generated pom.xml file you will see the necessary build plugins already added since we selected Maven as the build system during project creation. Go to the workspace folder where the application is stored in your workspace and run “mvn package” command. This builds and packages the application. 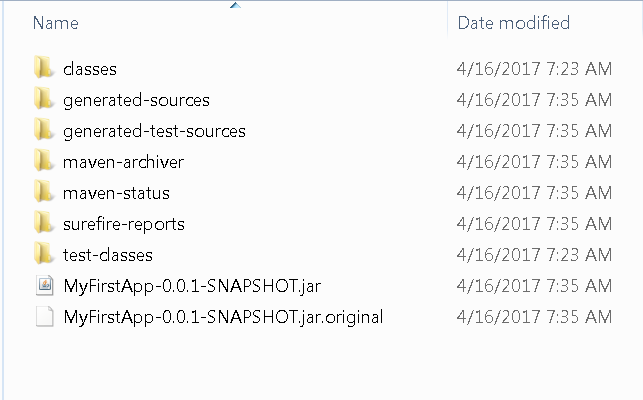 You should see “MyFirstApp-0.0.1-SNAPSHOT.jar” bundled with all dependencies. 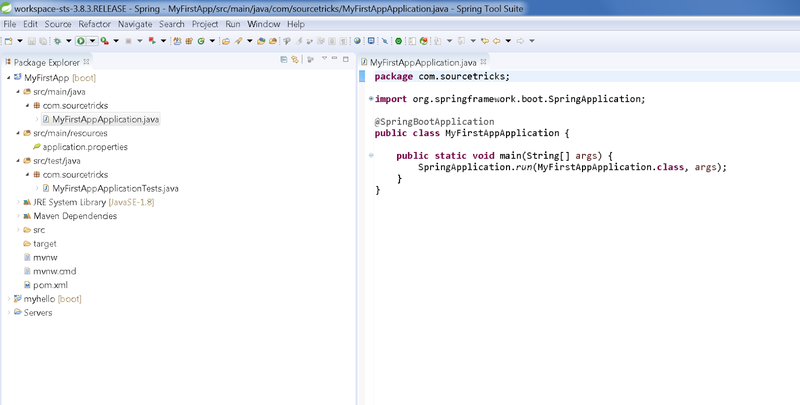 You can test if the application starts up by running the command “java –jar MyFirstApp-0.0.1-SNAPSHOT.jar”. The same browser test can be done on the exposed API. 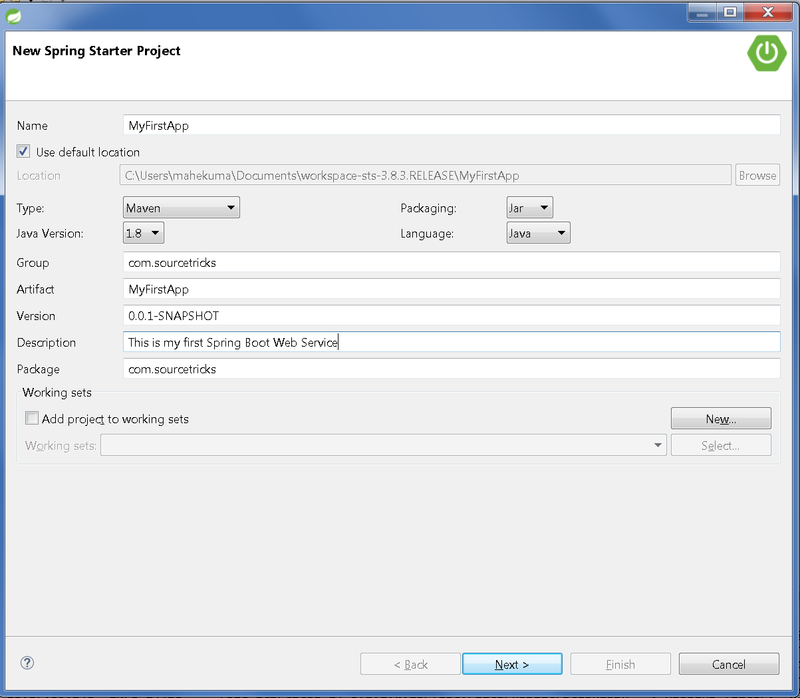 Now we are ready with a simple micro service based on Spring Boot.